Over 13,000 smart group leaders – just like you – have earned millions of dollars with their Little Caesars Fundraiser. Your smart choice is Little Caesars® Pizza Kits – the fundraiser that has your profits baked right in! Earn $6 for each item sold and watch the profits from your Little Caesars Fundraiser add up – fast. Start Selling! We recommend 2 weeks for selling and about a week for Pizza Kits turnaround, slightly longer for cookies. Your delivery is free and a delivery date will be scheduled by us and approved by you in advance. Little Caesars® Pizza Kits are not just a Little Caesars fundraiser … they’re dinner! Choose Little Caesars® Pizza Kits fundraising for a delicious, value priced fundraiser. It’s the fundraiser that delivers restaurant quality pizzas in the convenience of your own home and the only pizza fundraiser backed by over 4,000 Little Caesars® Pizza Restaurants…a brand everyone knows and one you can trust for quality and value. Your group will earn $6 for every item sold. Your materials are always free. Free order tallying and free delivery is available. 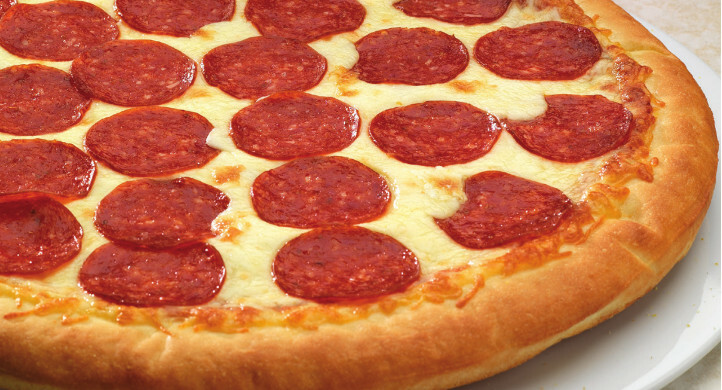 93% of Americans eat pizza at least once a month! It’s Not Just a Fundraiser … It’s Dinner! You expect quality and value for your money. Little Caesars is known as a value leader and you’ll find that our Pizza Kits deliver with superior taste and affordability. You’ll love your Little Caesars Fundraiser! You’ll be pleased with our delicious, convenient, and economical fundraising products! Our famous Deep! Deep! Dish Pizza Kit. 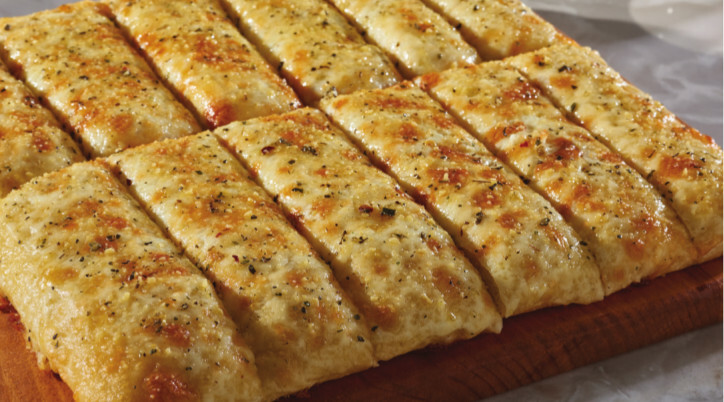 Soft and chewy on the inside with a crispy, crunchy crust. Makes four pizzas. 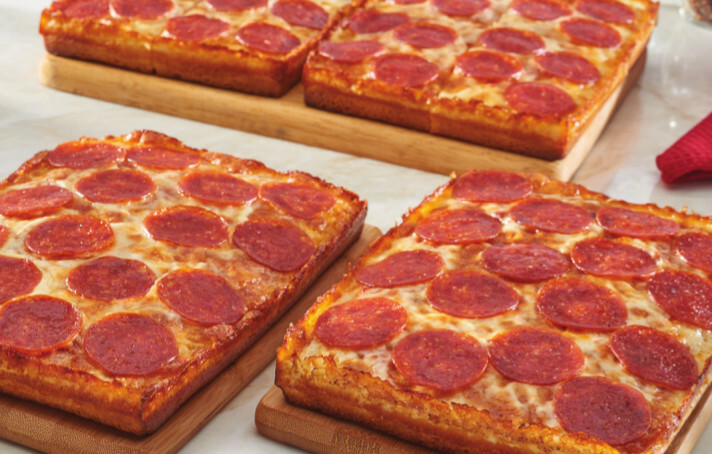 Three large square pizzas with Detroit-style Little Caesars deep dish crust...with mouthwatering garlic pepperoni flavor in every crispy, chewy bite. Our most popular fundraising Pizza Kit. Make three classic pepperoni pizzas topped with our exclusive Mozzeralla and Muenster cheese, delicious Little Caesars Sauce and tasty pepperoni! 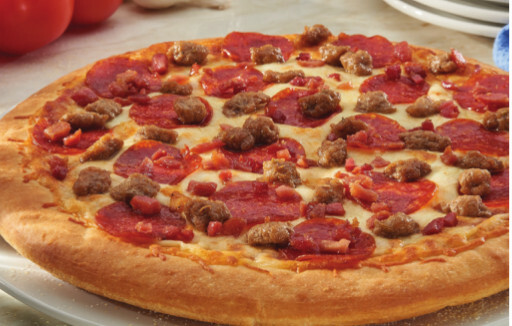 Enjoy our famous sauce, cheese and toppings on a crisp and thin cracker-like crust for a whole new flavor experience! Makes three pizzas. Try this! You'll love it! 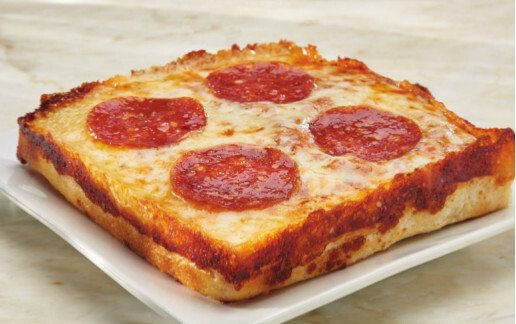 Convenient & delicious - you've never had a microwave pizza that's THIS GOOD! Ready to heat & eat this Pizza Kit has six Little Caesars Deep Dish personal pizzas. One Big! Big! 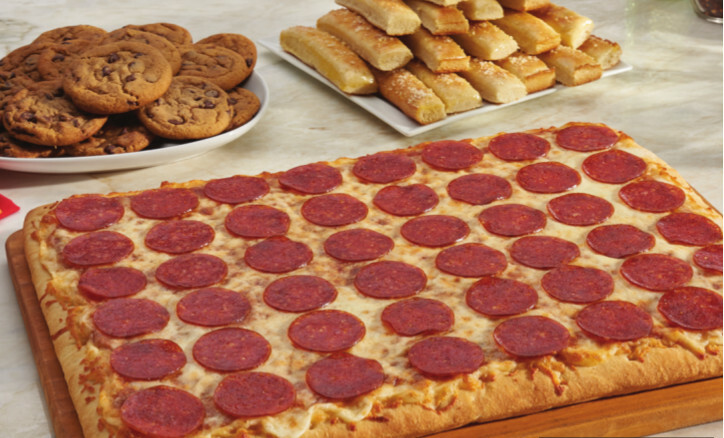 12 x 16" square pizza, 18 Crazy Bread sticks and 15 delicious Chocolate Chip Cookies - a great meal for your family. 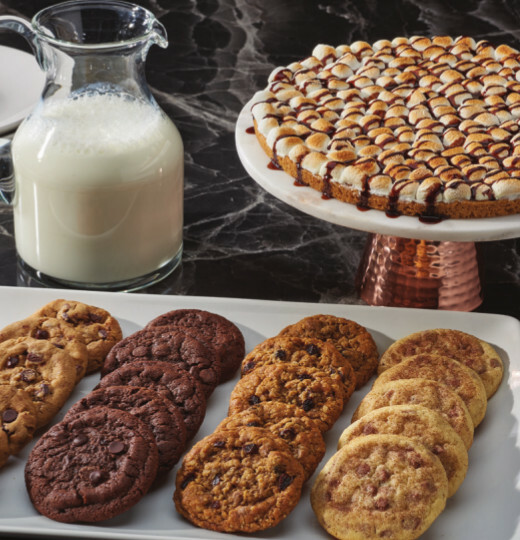 Exclusive to Little Caesars Pizza Kit Fundraising, now choose from five dessert options: Chocolate Chunk, Oatmeal Raisin, Ultimate Fudge or Snickerdoodle Cookie dough or our one of a kind S'Mores and Cookie Pie. 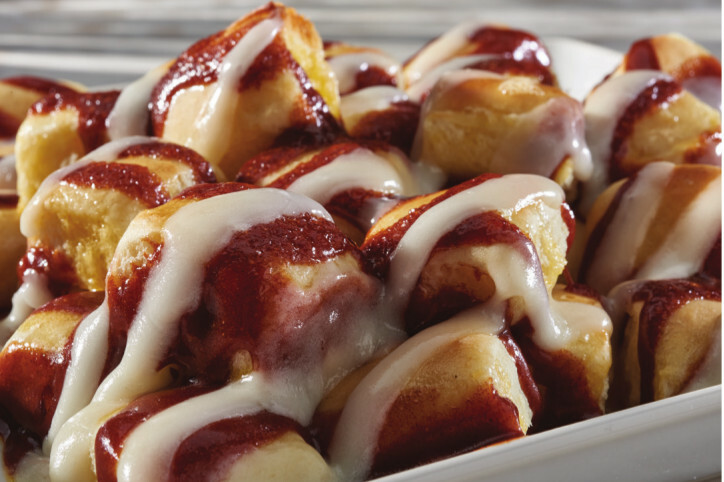 Our Crazy Bites are smothered in a delicious cinnamon roll topping and rich cream cheese icing. The yummy taste of a cinnamon roll in every bite...makes 144 bites! Pair these with pasta or salad as the ultimate cheesy, delicious Italian spicy bread sticks. Or, slice up a tomato and turn it into a sauce-less pizza...or create your own favorite! Any way you slice it...these are delicious! No! 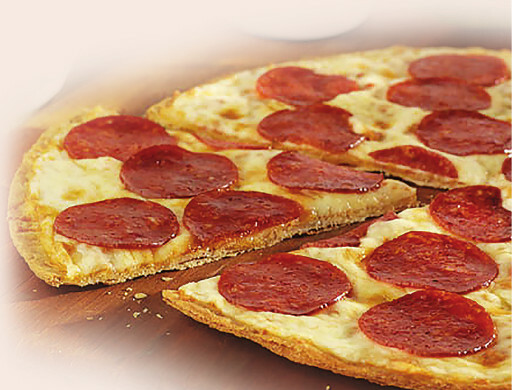 Little Caesars® Pizza Kits are a tremendous value. Pizza Kits include everything you need to make at least 3 delicious family-size Pizzas at home in less than 10 minutes. Little Caesars® is known for quality & value, and you’ll find that Pizza Kits deliver with superior taste and affordability. You’ll be thrilled with our delicious and convenient products! You get your money’s worth with Little Caesars® Pizza Kits! Are there any up front costs or hidden fees? There are no up front costs or hidden fees with a Little Caesars® Pizza Kit Fundraiser! Our mission is to help your group/organization have a successful fundraiser, not surprise you with additional fees and costs. Your sales materials are all FREE, our simple to follow plan is FREE, our order tallying is FREE. Plus, you have access to a variety of online sales tools to help you along the way. Our services to your group/organization include delivery directly to your group/organization’s location at the date and time you scheduled with us at the beginning of your fundraiser. We offer FREE delivery with a minimum order of 100 items. Should a group sell at least 50 items, an under the minimum fee of $50.00 will apply. We are not able to deliver orders under 50 items. Yes! And we are ready to help with local, hands-on assistance at NO extra charge to you. The Little Caesars® Pizza Kit Fundraising Program is easy to run. Call us toll-free at 1-866-706-0789. We know your time is valuable, so take advantage of our nearly 20 years of experience and have an easy sale this year! We will provide you everything you need to insure a successful fundraiser. Little Caesars® Pizza Kits are of the highest quality. You can purchase with confidence! Your expectations will be exceeded by our delicious patented crust, 100% real Mozzarella and Muenster custom cheese blend, our unique sauce made with vine-ripened tomatoes, specially-crafted spice blends, and high quality toppings. There’s nothing else like it! Enjoy the best in fundraising taste, quality and value with Little Caesars® Pizza Kits. How long can I keep unopened Kits in my refrigerator? Pizza Kits must be stored in either the refrigerator or freezer. Pizza Kits can be refrigerated up to 7 days and can be stored in the freezer for up to 95 days…but in most families they’re gone long before then! Desserts from The Cookie Kitchen can be refrigerated up to 45 days or stored in the freezer up to 6 months. Specialty items may require special handling, so be sure to check the handling instructions on each Kit. From your first contact with us through the delivery of your Kits you can run a Little Caesars® Pizza Kit Fundraiser in approximately 4-6 weeks. We’ll send your FREE order forms once your fundraiser has been registered. We recommend that your group sells for approximately 2-3 weeks. If you wish, you’ll then submit your order forms to us by mail for free order tallying, (the original forms will be returned to you before delivery) and within about a week we’ll deliver your order on your scheduled date and time. How much profit does my group earn? Your group will earn $6.00 profit on every item sold! The total profit you earn depends on your group – how you promote your fundraiser, how motivated your Sellers are, and how often your group runs fundraisers. We’ll share proven tips and techniques to help you have a successful fundraiser. Our Kits can be kept out of refrigeration up to 6 hours after delivery. Pizza Kits should be distributed in a cool dry place, away from direct sunlight or heat. Every item is clearly marked with handling instructions on the outside of the box. Should unbaked cookie dough be eaten? Cookie dough should always be baked before consuming. We recommend that you do not eat unbaked cookie dough. We’re watching what we eat. Are Pizza Kits good for my family? Everything in your Kit is carefully selected on the basis of quality, taste and nutritional value. You’ll find good-for-you ingredients like Mozzarella and Muenster cheeses, bone-building calcium and essential vitamins and minerals. Plus, you can easily “customize” your pizza at home by adding your family’s favorite vegetables or lean meats. Our Kits include everything you need to make delicious pizzas, breads, and cookie dough at home in less than 10 minutes. All items are individually packaged, so whatever is not immediately used can be stored in your fridge or freezer.